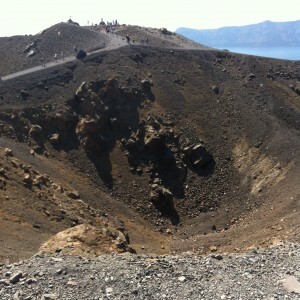 The people on Santorini believe there was a huge volcanic eruption in about the year 1600 BC. From their research it looks like Santorini was a huge transactional port because of it’s location which is convenient for Europe and Asia. 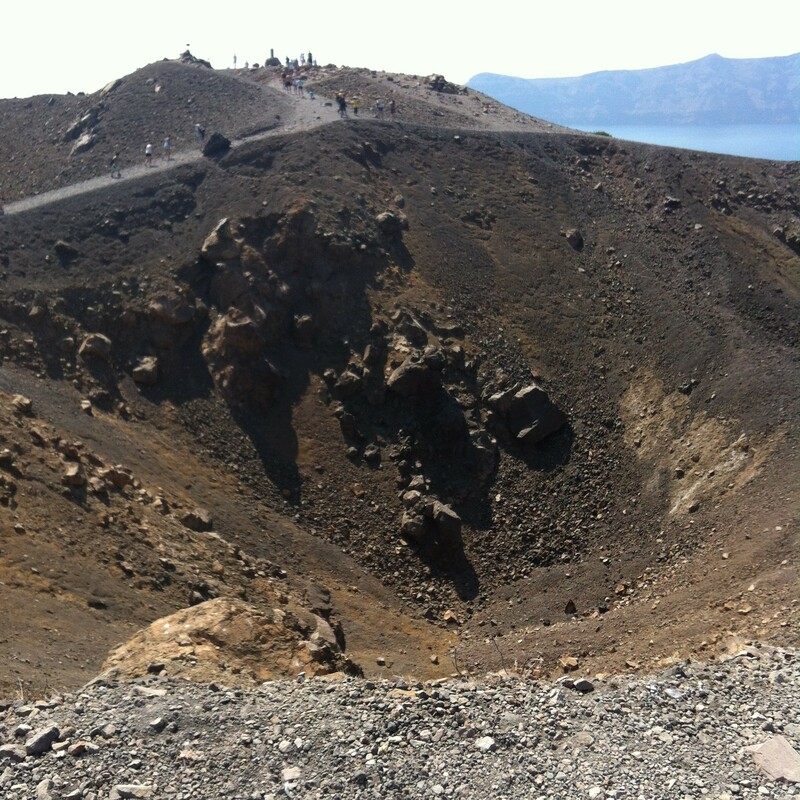 It is a site very much like Pompeii with tremendous amounts of volcanic ash piled high all over the island. 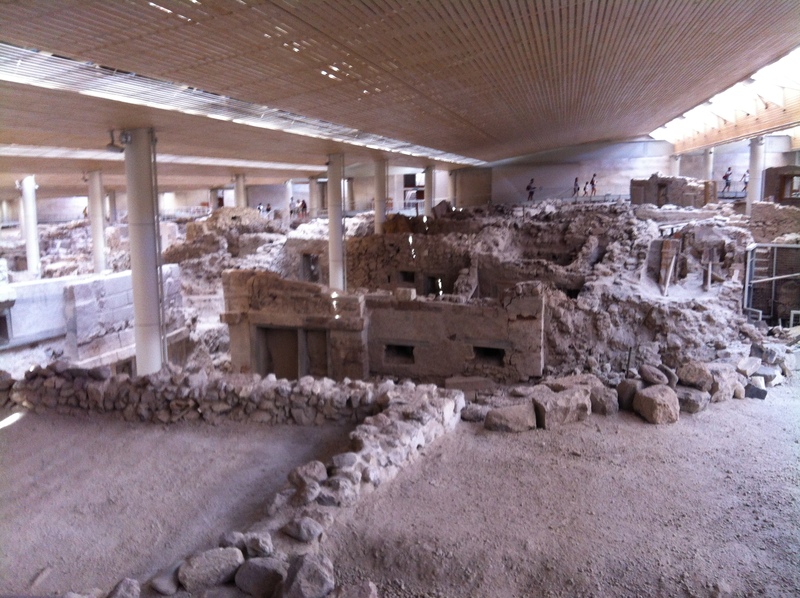 The differences with Pompeii is that Santorini is older, and Santorini doesn’t have any human remains. They believe the island had been evacuated before the eruption happened. Akrotini is the name of the port which they have excavated. They have found about 3% of the city and put it under cover inside a building. We saw what they think is the front section of the entrance to the city. 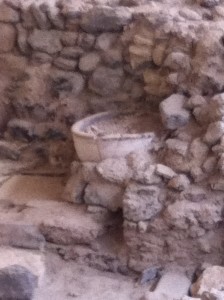 Some interesting findings are, even though the town was built before the time of Christ, they were quite advanced with most homes having bathtubs and the town having a sewage system. The walls had paintings on them and they have taken the originals and put them in a museum in Athens. One day we went to an island that is considered Santorini even though they are not connected anymore. The craters were huge. A few more facts about Santorini: It only rains about 60 days a year. We got sunshine all day every day. Yeah! It was so nice considering we came home to 50’s and 60’s with clouds. They get so little rain they have to save their rain water. The ground is very brown because it is mostly volcanic ash. They have found a way to grow the tomatoes, capers, and grapes even in the ash. All the trees have been imported. They have eucalytus, pistachio, and fig trees now. There is very little wood on the island. Our tour guide said years ago they rarely had bread because they had no wood to build a fire to bake it. Tomorrow I’ll show you the beaches.